“You just have to think what it takes to be a dictator,” notes the style commentator Peter York: “You have fought your way there. Even if you did have capital-G “Good” taste, it wouldn’t work with your people, many of whom are not very literate. The point is to impress and intimidate to the max. To say, ‘I’m fantastically important and powerful.” The land of a dictator is, he notes, “a world entirely without irony”. Key principles include “Ferrero Rocher twinkly” and “testosteronic symbolism” – the eagles, lions, elephants and other aggressive animals dictators like to employ as symbols of the imperial, yet slightly savage, power. 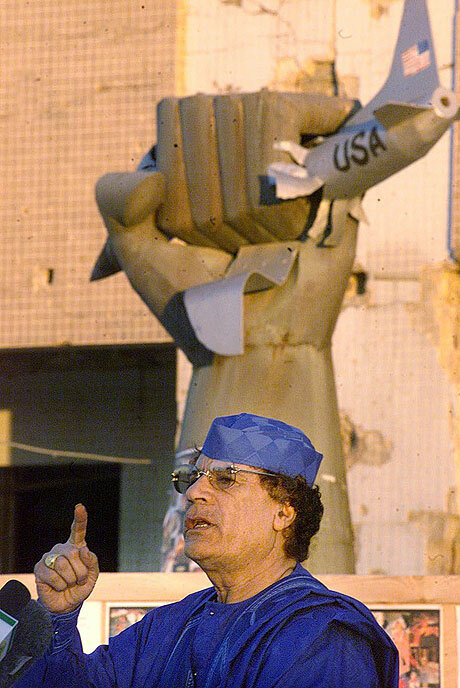 Karen Pine, professor of psychology at the university of Hertfordshire and a specialist in consumerist culture, said Gaddafi’s interior design principle – “bigger, better, with more gold on” – has “nothing to do with taste or style”; its only purpose being to reinforce to others, and himself, his elevated position. 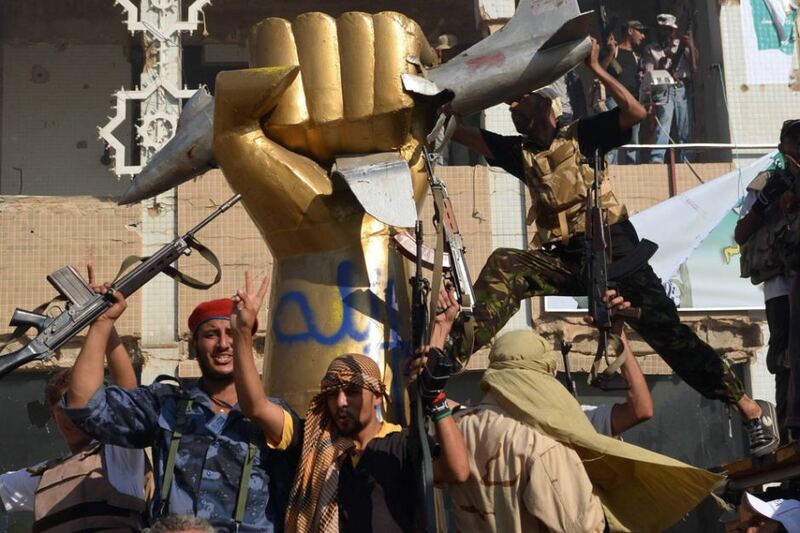 Rebels now celebrate around the once iconic statue of the golden fist crushing a US military bomber, after overrunning the Bab al-Azizya compound in the centre of Tripoli. « Carbuncle 2012? Prince Charles’s Poundbury fire station is a right royal mess. You are currently reading Crushing Fist at nevillerae.